The Twingo's front-end shows Renault's new design identity with a larger diamond-shaped brand logo. BILBAO, Spain -- Renault hopes a new "friendly" face will help stabilize sales of its Twingo minicar until an all-new version launches in 2014. A facelifted Twingo that will go on sale in the first quarter will be the first Renault model to bear the brand's new styling created by design chief Laurens Van Den Acker. The facelift is intended to bridge the gap between sales of the current-generation and the new Twingo model that will launch in 2014, Yves-Eric Morel, Renault's Twingo program director told Automotive News Europe at a press even here. "The Twingo was criticized for having a slightly boring design so we wanted to reinvigorate sales of this car by making its look a lot more dynamic and original," Morel said. "In dealerships alongside the new Clio and Zoe next year, its modern design will not be out of place." Morel added: "The small car segment is becoming more and more competitive. Our goal is to retain or grow our market share in this segment." Since the first Twingo launched in 1993, the numbers of models in the European minicar segment has grown to 26 from 12, Renault says. With the Twingo's fresh design, Renault wants to appeal to a wider customer base, interior design director Antoine Genin said. “Our aim was to reinforce the fun, colorful and friendly character of Twingo. We wanted New Twingo to appeal beyond its core customer base, which is predominantly female and city-based," Genin said in a statement. The Twingo is Europe's third best-selling minicar after the Fiat Panda and Fiat 500. Twingo sales in Western Europe fell 16 percent to 96,323 units in the first nine month sof 2011, according to JATO Dynamics. In addition to a new design, the Twingo will be offered with a new 1.5-liter diesel engine with CO2 emissions of 85g/km, equivalent to fuel consumption of 3.4 liters/100km. 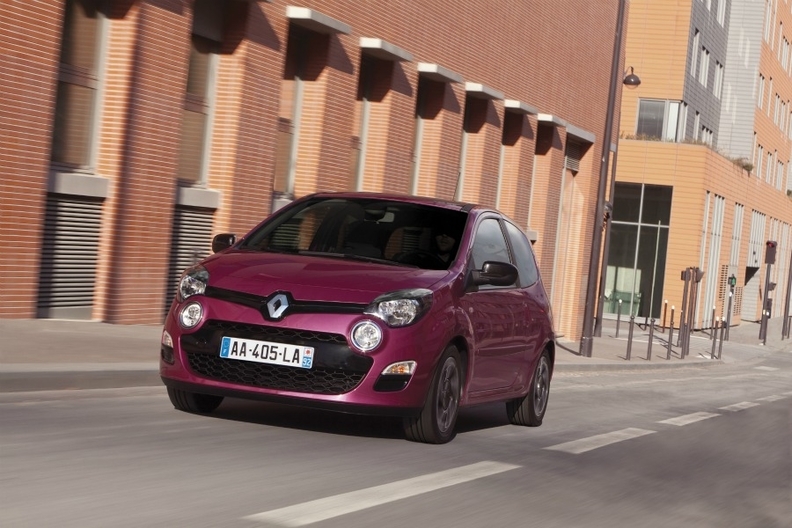 Twingo prices will start at 7,990 euros in France. The new-generation Twingo will be built on a shared platform with a four-seater Smart model for Daimler as part of a production alliance between Renault and Daimler.